Guest writer, Emilia Clarke offers some advice on buying clubs for the beginning golfer. Do you want to start playing golf? Then, you need a perfect set of golf clubs. Buying a golf club set is an important issue for any golfer, but for a beginner there are many things to consider before choosing the best golf clubs for your game. here are a few buying tips for you to consider. Here are some effective tips on how to choose the best golf clubs if you’re a beginner. 1. Ask Friends to Play with Their Golf Clubs — Ask your friends or partners if you can try their golf clubs. This will help you to determine the type of golf club that you can buy. Of course, this will also give you some ideas and sense of a golf club. 3. Buy a Half Set of Clubs — Buying a half set of clubs might be a good idea for the beginner golfers. They are specially made for the beginners and contain five irons. The set does not come with a driver or long irons 2, 3, and 4. Those irons are hard to hit and play for the beginners. 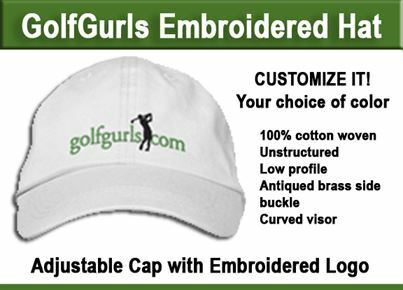 Moreover, they create an obstacle to improving your golfing experience. A half set of golf clubs helps to develop a good swing and will give you good feedback before moving to the next level. 4. Try Before You Buy — You should be comfortable with the golf clubs. You should try before you make a final decision to buy. 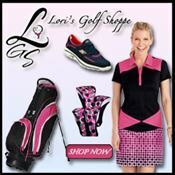 Choose a large sporting goods store or pro shop when purchasing golf clubs. Normally, they have large indoor driving ranges for the clients. So, you will have a chance to try few shots before making a decision. You should avoid buying your first golf set from an online store because you can’t try or return them. This will become a complete loss if they don’t suit your body. 5. Choose the Perimeter-weighted Head Golf Clubs — This is the best suggestion for any beginner golfer when buying a first golf club. Perimeter-weighted Head Golf Clubs provide an expanded sweet spot to hit the ball. They are more forgiving, lightweight and easy to swing. They are among the more expensive golf clubs in the market. But, they are the best clubs for the beginning golfer. As a beginner, you can play faster and more quickly using these golf clubs. Conclusion — No matter which clubs you choose, you need to give full concentration when playing the game. Otherwise, the best-suited golf club can’t improve your playing style and experience. Do you have any question about our steps? Then, feel free to ask through the comment box, we will give you a quick solution. Which Training Device Earned PGA's Best New Product Award? What Is A BirdieBall?